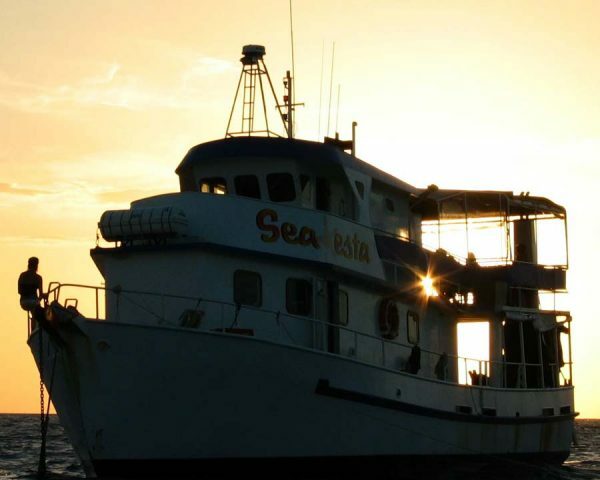 You depart from Townsville on the night of Thursday, 18 April 2019 and will spend an amazing four days cruising and diving the Great Barrier Reef and Yongala wreck. Return on the afternoon of Monday, 22 April 2019. 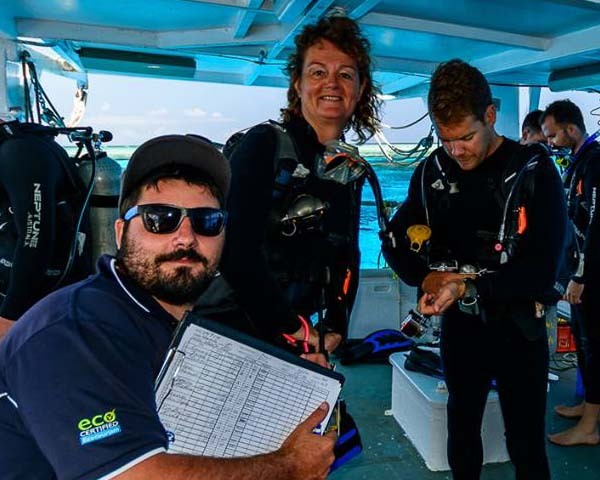 Friday 19 April Wake up to the sun rising on the Great Barrier Reef and enjoy your first dive on Lodestone/Keeper reef at 8.30 am, second dive at 11 am, third dive at 2.30 pm and night dive at 7 pm. 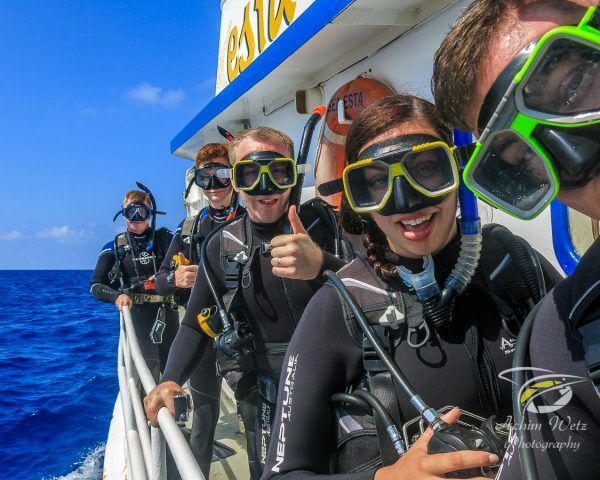 Saturday 20 April Wake up on Wheeler/Davies reef and enjoy your first dive at 8.30 am, second dive at 11 am, third dive at 2.30 pm and night dive at 7 pm. 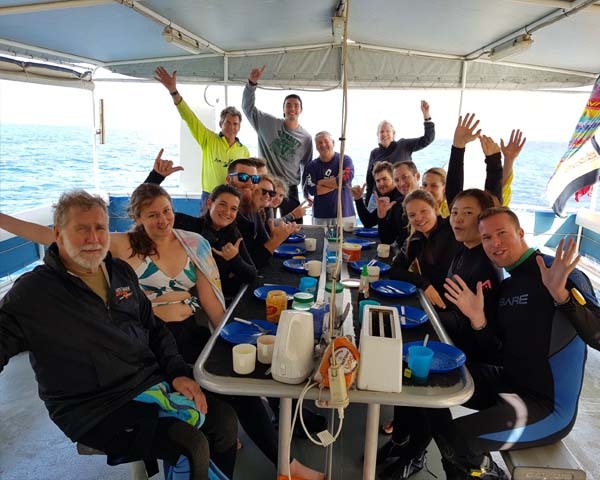 Sunday 21 April Wake up on Wheeler/Little Broadhurst reef and enjoy your first dive at 8.30 am, second dive at 11 am, third dive at 2.30 pm and night dive at 7 pm. Monday 22 April Wake up at the Yongala wreck and be the first ones to dive there before anyone else. Dive 1 at 6.30 am and dive 2 at 8.15 am. Arrive back at Townsville at 4.30 pm. Lodestone Reef has many large coral bommies with areas of white sandy bottoms and colourful coral walls in crystal clear water. Prepare to be surrounded by a myriad of colourful reef fish including parrotfish, maori wrasses, clownfish, damsels, angelfish. 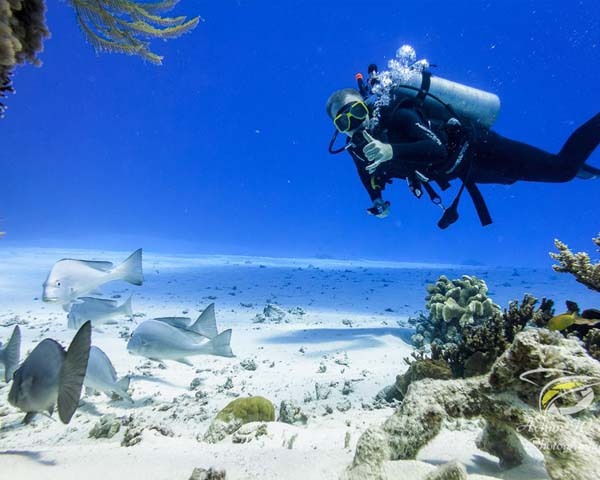 You can also spot turtles, stingrays, white-tipped and black-tapped reef sharks. Keeper Reef has many coral gardens with beautiful gorgonians and spikey soft corals and is renowned for its many swim throughs. Expect to see coral trout, rabbitfish, batfish, turtles, reef sharks, sweetlips, barramundi cod, crafish, rock cods and squirrelfish. Wheeler Reef is one of the best dive sites in the Great Barrier Reef Marine Park. It features a small white sand cay with areas for snorkelling and it also has deep bommies and swim throughs to excite more experienced divers. Davies Reef has many dive sites from large pinnacles with small caves to prolific coral gardens and drop-offs, where deep gutters cut through the reef and the walls are decorated with soft coral and gorgonians. Little Broadhurst Reef is an excellent night dive location, and Barra Bommie has an exciting swim through with frequent octopus sightings. SS Yongala Wreck is the number one wreck dive in Australia and for good reason. It is the only large structure in an open ocean location, which means it is a gathering point for marine life. Expect to see plenty of rays, sea snakes, groupers, turtles, sharks and many more.